Mr. Onobrorhie Clement Siakpere was promoted to the position of Registrar on May 11, 2018. The promotion was ratified at the 134th Governing Council meeting of the Petroleum Training Institute (PTI). 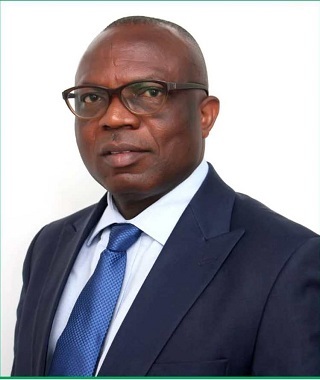 The new Registrar, Mr. Onobrorhie C. Siakpere holds a Bachelor of Science (B.Sc) in Education/Mathematics from the University of Calabar, Cross River State in 1987; and Masters in Business Administration (MBA) from Delta State University, Abraka, Delta State, in 1999. Mr. Siakpere who has over 20 years experience in Management, is a fellow, Institute of Policy Management Development (fIPMD), fellow National Institute of Companies and Business Administration (fICBA). He is also a Chartered member of Nigerian Institute of Management (NIM), Member, Society of Human Resources Management (MSHRM) and a Practitioner, Human Resources (HPRL), Chartered Institute of Personnel Management among other professional bodies.